Texas Tiki Week will take place August 2-9 with events happening all over Austin. The annual event, organized by Austin chapter of the United States Bartenders’ Guild, celebrates tiki culture and tropical drinks with rum as a central ingredient. We’re a sucker for Tiki drinks and will definitely hit a few places to get our fix. Austin-made Treaty Oak Rum, will be poured at some of the following spots in Austin throughout Texas Tiki Week. Still deciding on #4thOfJuly plans? It's never too late for a #staycation. Combine the Treaty Oak Platinum Rum, Cointreau, orgeat, and lime juice in a mixing glass and shake vigorously with ice to chill. Strain drink into a glass filled with ice. 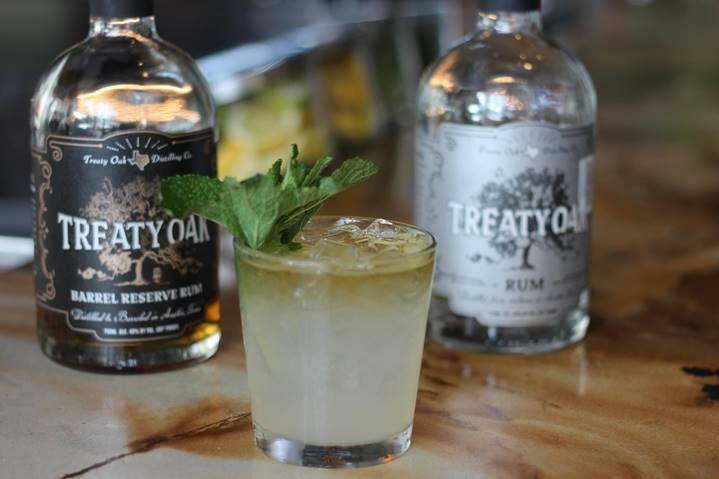 Slowly pour Treaty Oak Barrel Reserve Rum to layer on top. Garnish with mint sprig.